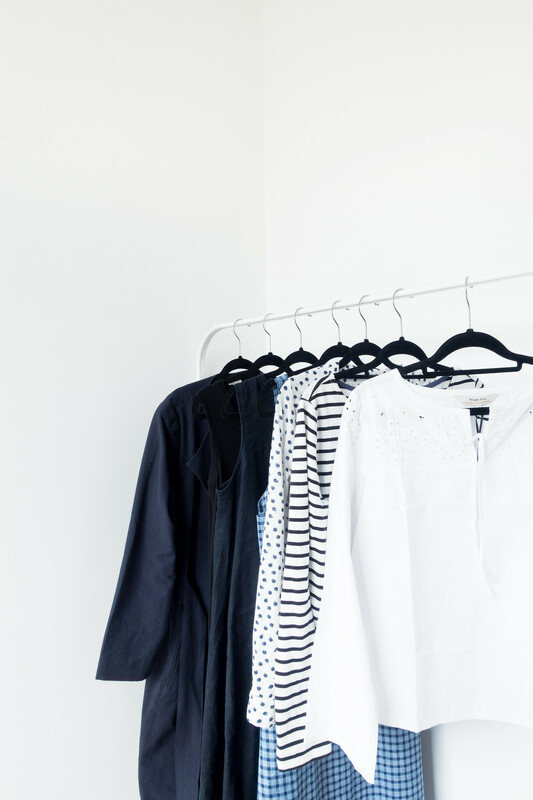 While spring is a great time to start building a minimalist wardrobe from scratch by summer you’ll likely want to recap and review your options. It's the first real challenge your minimalist wardrobe will face. With an upswing of humidity and scorching heat (however brief in England) a minimalist summer wardrobe is laser focused on comfort and ease of wear. 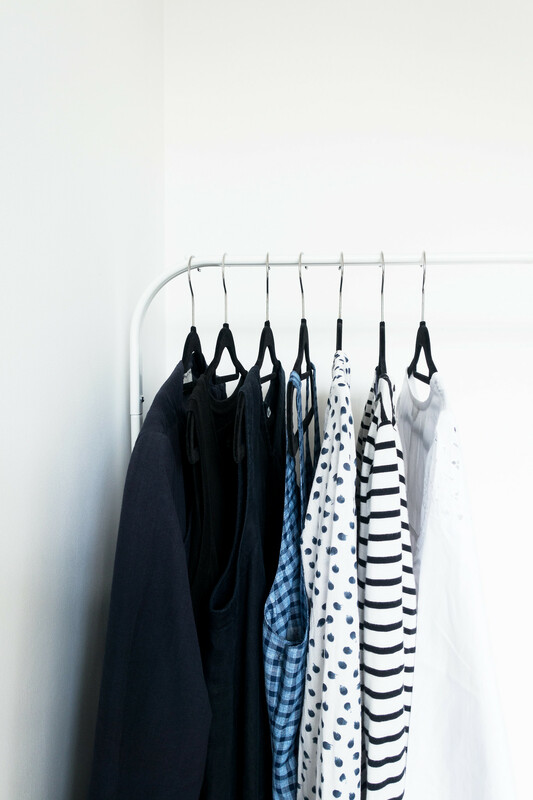 While it's advisable to stick to the Anti-Capsule Wardrobe Method for building your daily staples; the Capsule Method is useful in hotter months. I’m not keen on rotated seasonal capsules but employing one during summer is essential; there are quite a few pieces that are worn exclusively in summer. Things like sandals, swimsuits, and sarongs are reserved only for the hottest of days and although they are essential for comfort they become redundant during the cooler months. 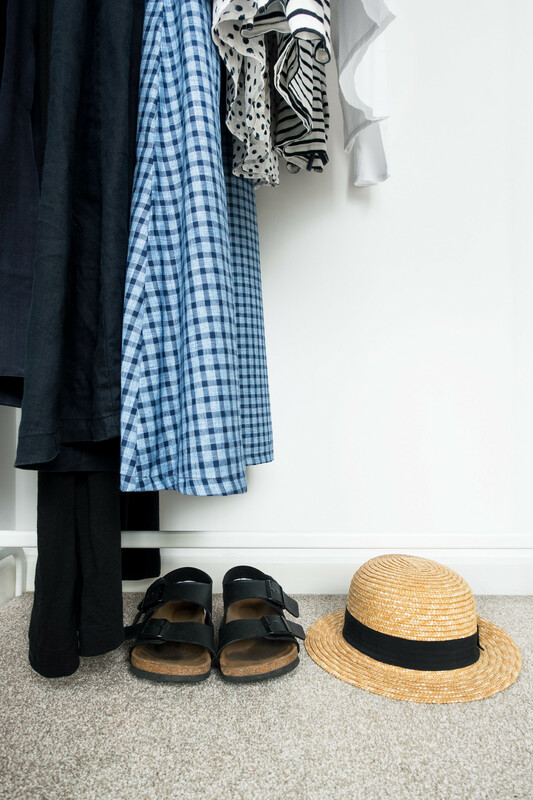 If you follow the advice of never hiding any of your clothing away, it might be best to start by pulling out or at least partitioning off your summer appropriate clothing. Grouping these items together will help identify any missing essentials, items that need to be replaced, or things you simply don't need any more. Unlike spring and autumn, summer isn't quite such a flexible season; even in the UK there are stretches where the heat can be unbearable if you're not dressed appropriately. Make sure your wardrobe is stocked up with essential basics made from natural fabrics - think: linen and cotton - that will keep you comfortable and cool in the heat. Focus on creating outfits from the pieces you already own; do you own enough combinations to see you through the summer months? Are the items made from breathable fabric? Do you need to replace or repair anything? What about missing pieces, is there anything you need to make your summer wardrobe complete? It's really important to assess your current wardrobe before considering new purchases. Reworking items into new outfit combinations is usually enough to resist the temptation to shop before you've identified exactly what you need. It might be useful to create a "summer capsule" edit; comprised of your absolute summer essentials, this capsule serves as your go-to resource for quick and easy outfits. You don't need to store this out of sight when summer is often and the pieces don't necessarily have to be strictly summer-only; this capsule can be absorbed back into your daily wardrobe once summer is over but while it's ongoing it makes getting dressed in the heat much more bearable. Start editing your wardrobe by getting rid of anything that doesn't fit. Any old swimsuits or ill-fitting sandals, pack them up for donation. Strip back your summer wardrobe to only include clothing you can feel confident wearing when the sun is shining. Remember to focus on materials when creating your summer wardrobe; if you include any synthetic items you'll end up sticky and sweaty. If you find you're lacking clothing made from natural, breathable materials perhaps it's time you invested in a few upgrades. When you've assessed your wardrobe and curated yourself a summer capsule with a little editing, it's time to invest in any new pieces you might need. Whether you need to upgrade existing favourites, replacing them with more comfortable fabrics and styles, or find yourself in need of the absolute basic summer items: always start with a wishlist. It's really tempting to buy the first item you find that seems to fit your needs; making use of a wishlist to keep track of potential new purchases is a surefire way to avoid impulse purchases and buyer's remorse. Do a little window shopping research and keep a list of your discoveries. If you're shopping in person, snap a photograph on your phone and make note of the details (shop name, brand, size, etc.) or if you're browsing online, save everything to the same wishlist split up into folders (tops, bottoms, dresses, swimwear, accessories, etc.) Once you're content with your research, go through everything you saved and whittle it down until you've found the perfect item. Spending your time researching options, focusing on quality, materials, and ethical standards, will result in clothing you love wearing and a more sustainable wardrobe longterm. Summer is a time when impulse purchases are more easily made; it's easy to settle for less than ideal pieces when they're only worn for a few days of the year. Items like bathing suits, maxi dresses, and sandals are available for cheap everywhere as soon as summer hits, it can be tricky to avoid settling for whatever you find first. Never settle for "good enough"; return items you don't absolutely love and always consider whether there are ways you can refresh your style without spending money before investing in something new.